Do chocolates really help to lose weight? I know among all the readers there would be maximum readers who would be great chocolate lovers and many among them would have definitely heard about chocolate being helpful to lose weight. Chocolate is a very general word. There are thousands of different forms of chocolates available. Few of them are dark, white, rum, brandy etc. So it becomes very important that we talk about specific type of chocolate which are helpful to lose weight. When you go in market, any commercially available chocolates have a nutrition label behind it. If you ever have read the nutrition label you will know that chocolate is a mixture of carbohydrates in the form of simple sugars, Fats mostly Trans fats and very small amount of proteins. Now a days a few amount of fiber and vitamins are fortified but the proportion present is very negligible. When we talk about chocolate helpful in losing weight, it’s true to some extent. These chocolates which really help are the organic dark chocolates which are uncooked and has high amount of cocoa. These chocolates are very high in antioxidants. They really help to lose weight but are not readily available in market. So any one of you who believe that chocolate in any way could affect the weight, you are right! It does affect but in an opposite way. Simple sugars present in chocolates helps in putting on weight. As we all know that simple sugars are not recommended for any person who wants to lose weight. Next thing, the percentage of fat present in a bar of chocolate is also not suitable to lose any extra kilos/ pounds. There are many researches still going on but none of the researches have a confirmed result. So I would recommend opting for a healthy weight loss diet which has guaranteed results and no side effects on the body. Chocolates are good as dessert. Eating chocolate in moderation is best. 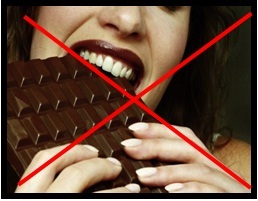 Over eating of chocolates have many ill effects like high cholesterol, diabetes etc. So a dessert should be treated s dessert only. Any food is excess is harmful. So the key point to remember is enjoying chocolates occasionally. Don’t include chocolates in your regular diet. Dark chocolate are beneficial over normal chocolates but that doesn’t mean it would be more nutritious to consume dark chocolate. I know this post would be hearts breaking for many female especially who are chocolate lovers but the fact remains the same. Count your daily calories before adding any desserts or sweets to your diet. Main magic of losing weight is controlling your calories. If you are counting your calories and a piece of chocolate is accomodable in it you are free to have that piece of chocolate. If that is the case than I would advice to add that piece of chocolate in the first half of the day. 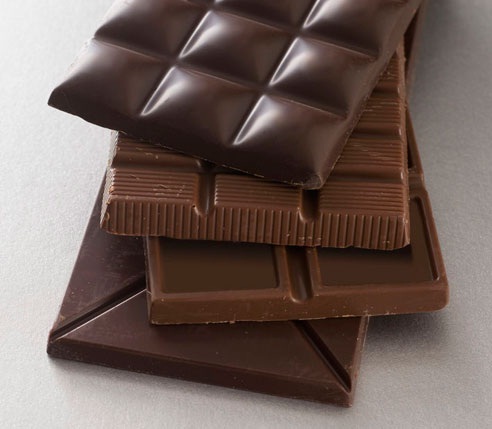 There are many articles who state that chocolates are beneficial heart disease. So that would be my nex topic of discussion. Whether it really helps?